Dozens of Lake Macquarie residents have been caught in the legal crossfire between Lake Macquarie City Council and the supplier of a roadbase mix which is believed to have caused extensive damage to their homes and local roads. Some, like Wangi's Phil O'Neill have been waiting four years for the issue to be resolved and for repaires to be carried out. Here's how Tim Connell at the Newcastle Herald has reported the story. 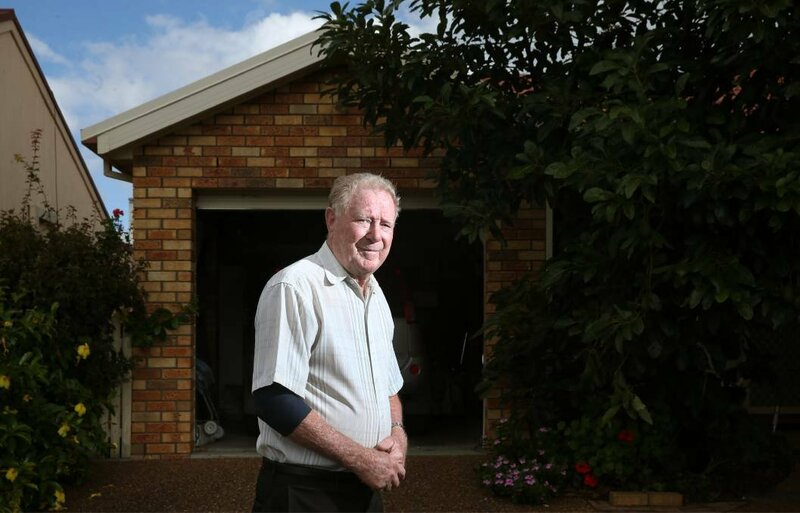 THE first time Phil O’Neill noticed something odd about his street was when a neighbour’s caravan scraped on a newly-formed mound in his driveway. Then, about the start of 2013, Mr O’Neill’s front footpath cracked. So did the floor of his garage, his driveway and, in the next year and a half, the brick pillars of the Dobell Drive, Wangi Wangi house 81-year-old Mr O’Neill built with his late wife Beverley in 1993 began to shear away. Kerbs in the lakeside street cracked, spalled and moved sideways, and brick pavers pyramided 30 centimetres up from the ground. The concrete slabs under the houses of Dobell Drive seemed to have shifted overnight. A structural engineer hired by Lake Macquarie council found – after crossing mine subsidence, foundation shrink and earthquake off a list of culprits – that the road pavement in Dobell Drive had spread and applied “large horizontal forces” to the O’Neill property. “When [the council] did the job on the street I said to Bev, ‘we’re going to have the best road ever’. It looked like fantastic stuff, a beautiful road,” Mr O’Neill said. “Now, some of the things you notice; the apex capping tile on the roof lifting, brick walls separating vertically. Mr O’Neill has been waiting four years for a decision on his claim with Lake Macquarie council. The damage to his house has been calculated at more than $30,000. In a reply to Lake Macquarie MP Greg Piper, who made representations on Mr O’Neill’s behalf, council general manager Brian Bell said Mr O’Neill’s claim was one of several expected to be accepted or denied by the council’s insurer “in the near future”. “We are equally frustrated with the protracted nature of these claims,” Mr Bell wrote. But Mr O’Neill said he had encountered “stalling and obfuscation” and “a wooden approach” from the council. He first contacted the council in January 2013 asking if it would repair the damage to his property and, since then, has made contact 10 times through his solicitor. The council has responded seven times, records seen by the Herald show, sometimes after written prompts by Mr O’Neill’s solicitor. The last reply the council gave him was to cancel a meeting. “I blame Lake Macquarie council in this, and their callousness. I’ve never really had a decent answer from them,” Mr O’Neill said. At the heart of Mr O’Neill’s ordeal is a stalemate between the council, a company and their respective lawyers over who is liable for the damage. Dobell Drive was relaid with Steelstone Mix 3, a heavily-bound road base developed by South Coast Equipment (SCE) in Mayfield in the 1990s. Steelstone Mix 3 is a mixture of slag, ash and lime used on state and council roads for more than 15 years until April 2013, when the NSW government instructed councils to stop using it. A Lake Macquarie council spokewoman confirmed that SCE is denying there is a fault with its product. The council’s insurer has requested SCE to indemnify it, but the company has not accepted liability. SCE did not respond to Newcastle Herald requests for comment. Lake Macquarie councillors received a confidential briefing in March which, a spokeswoman said, “was timely to provide councillors with an update on progress regarding the issues associated with the use of Steelstone Mix 3 road base”. “Maintenance and repair works have been undertaken in a number of locations for road safety mitigation,” the council spokeswoman said. Affected residents are being told to seek their own legal advice, and the council has no plans to repair the damage to property. But, in reply to Mr Piper, Mr Bell said an outcome on the claims would trigger residents being “contacted to discuss any options for repair of homes and property”. Mr O’Neill, who said he wants a settlement in the amount of the repair bill for his house, fears he will never see an end to the saga. “I’ve been as cooperative through all of this as I could have been,” he said.